As a woman who’s had asthma since I was about two years old (I’m now in my 30s), I’m pretty in tune with my body. Subsequently, I noticed that over the years, my asthma ebbs and flows with the seasons. Coincidence? I don’t think so – and I don’t believe that I’m the only person whose asthma gets a bit wonky during specific seasons. So let’s take a look at seasonal asthma, shall we? Asthma, in general, is very common – it affects 1 in 13 Americans. If you add allergies into the mix, and 50 million Americans are thought to be affected. Studies indicate that there are more hospitalizations when seasons change or there are weather fluctuations (possibly can mean a change in seasonal allergies.) For example, in a 2001 Canadian study, there were twice as many hospitalizations for asthma in October compared to July or August – and these results were comparable to other studies. In another study in Detroit, MI, when temperatures fluctuated by 10-degrees rapidly, or a 10% increase in humidity, such as in the spring and summer months, asthma hospitalizations quickly increased over the following two days. 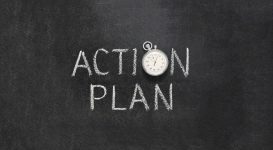 So, let’s break it down by season – what is liable to cause asthma symptoms to flare? Cold, dry air aggravates many people’s asthma symptoms. This is especially troublesome for people who spend a lot of time outdoors, doing winter sports. If you’ve got asthma that is exercise-induced as well as cold air triggered, you’re more than likely heading towards an asthma flare if you choose to exercise outdoors. Experts point out that wearing a scarf around your mouth can help. Doing so warms the air, as well as humidifies it. 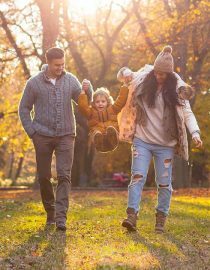 There are also air exchangers you can purchase that function similarly but even more effectively – they are proven to improve lung function during outdoor exercise in cold weather. As the cool weather turns to warmer weather, and the snow melts, vegetation begins to grow. This is a beautiful thing – but for the allergy and asthma sufferer, this can mean havoc if the person is pollen-sensitive. Spring is high-time for pollen season. During the spring, it is tree pollens that are potent. 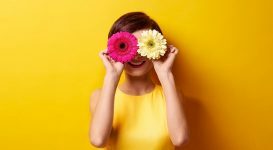 Luckily, experts point out that pollen counts are predictable – they are typically highest between 4 am, and 10 am – so it is easiest to be outside after 10 am. Ahhhh, summertime and the breathing is easy. By and large, asthma episodes tend to decrease in the summer months. Spring pollens have decreased and cold season is over. But that doesn’t mean that summer is without any triggers. 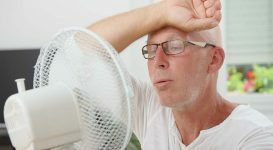 Some people react poorly to high humidity – for these people, the high humidity of summer months can mean wreak havoc on the lungs. Also, air quality tends to worsen, especially in urban areas. These highly polluted areas, asthmatics tend to have more asthma attacks. Ragweed season kicks off at the end of summer as well – this begins the start of fall allergy season. Also, Alternaria, an airborne fungus, peaks in August and September. Ragweed season, which begins at the end of summer, carries over into the fall. It can last until October – meaning that it can cause months of allergy and asthma issues. It is primarily concentrated in the Midwest and Eastern portions of the United States and is very lightweight, meaning that it can be carried hundreds of miles by wind. Fall also kicks off cold and flu season. People with asthma aren’t necessarily more likely to get sick, but they are more likely to become sicker when they do fall ill. 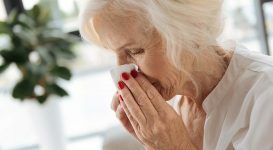 This is because the upper respiratory tract infections tend to aggravate the lungs, which in turn leads to wheezing, difficulty breathing, and coughing – and subsequently asthma attacks. If you’re one of those lucky people, like me, who suffers year-round, there are culprits in your home that may be the cause. Specific allergens that are in your house may make you feel pretty bad, allergy and asthma-wise. For example, if you have an allergy to pet dander and live with a dog, you could be exacerbating your symptoms daily. Major year-round allergens include pet dander, molds, dust mites, and cockroaches. Prevention is key if you have any of these allergies. If you have a dog allergy, keeping the dog bathed regularly, as well as vacuuming and keeping the floors clean can reduce your symptoms. If you have a mold allergy, ventilate damp areas – install a fan in damp bathrooms and purchase a dehumidifier. For a dust mite allergy, focus on your bedroom first – purchase allergy coverings for your bed and pillows and regularly wash your bedding in hot water, as well as your curtains. Cockroaches are hard to get rid of – do not leave food out, set traps to kill them, and have an exterminator spray to kill them regularly. Of course, the best way to treat allergies is avoidance. If you have seasonal asthma and can avoid your allergens each season, your asthma will subsequently improve. But that is not always feasible. 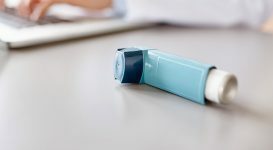 Treating asthma and allergies singularly is an option as well, meaning your physician may prescribe both inhalers to manage your asthma, as well as antihistamines to treat your conditions separately. Montelukast (Singulair) is an oral medication that is often prescribed when asthma and allergies go hand-in-hand. It works well because it hampers the immune response, thus reducing the symptoms of both asthma and allergies – and it can be taken with both inhalers and antihistamines, should your physician choose to prescribe it. Allergy shots can also be prescribed. Allergy shots work by injecting very tiny amounts of the allergens that you are allergic to. Your body gradually builds up a tolerance to the allergens. This process can take several years. 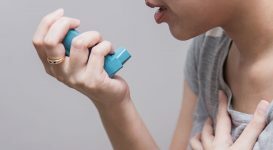 Anti-immunoglobulin E (IgE) immunotherapy, such as Xolair, is recommended for people with moderate to severe asthma, who have failed standard therapy. If you imagine that your asthma is worse during different seasons, it is a distinct possibility because you may have an allergy making it worse! Allergies, Genetics, or Both: What Causes Asthma? According to the NHLBI, the exact cause of asthma isn’t known.That being said, there are a couple theories about what causes asthma. Does Humidity Make Asthma Worse?